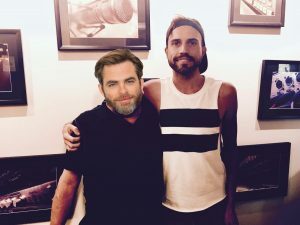 This week Bill chats with Tyler Glenn from Neon Trees. They talk about the role music plays in Tyler’s life, his journey to find happiness, his feelings about the LDS church and more. This entry was posted in Podcast Episodes and tagged Bill Allred, Dylan Allred, Neon Trees, Salt Lake City, The Let's Go Eat Show, Tyler Glenn, X96. Bookmark the permalink.